Whilst he was living in Paris, Pablo Picasso was commissioned to paint a mural for the Spanish Pavilion in the 1937 Paris World’s Fair. However, for three months, he was lacking in inspiration. Times were difficult in Picasso’s home country of Spain. 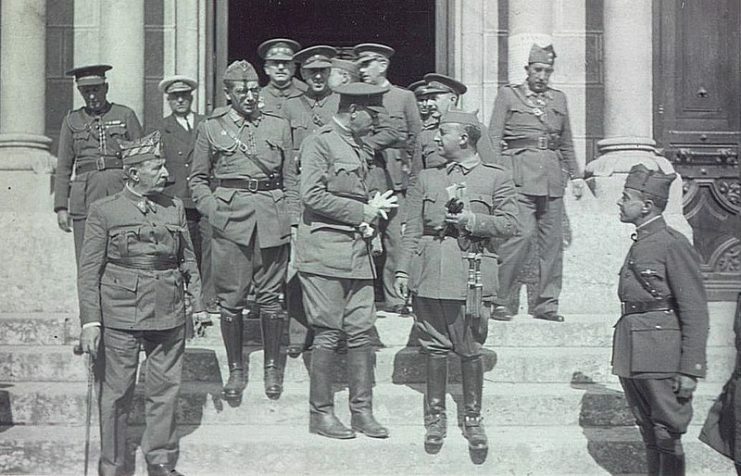 Francisco Franco, the Spanish general, led a coup in July 1936. It was only partially successful, resulting in part of Spain falling under his control while the rest remained in the control of the republic. The resulting civil war was a precursor to World War II, with the Spanish republic receiving assistance from the Soviet Union while Franco received aid from Nazi Germany and fascist Italy. On April 26, 1937, a combined force of German and Italian bombers assembled over the coast of northern Spain. Beginning at 4:30 pm and lasting for three hours, the planes dropped 550-pound explosives to level buildings in the Basque town of Guernica. They followed up with incendiary bombs that created fires burning at 2500 degrees Celsius. 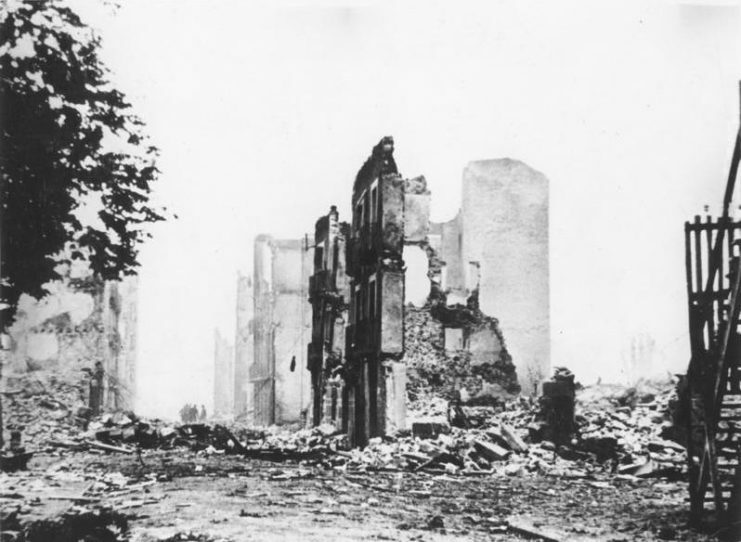 By evening, almost all buildings in Guernica were uninhabitable. The original estimates had casualties in the thousands, though that was later changed to 200 – 300. However, a message had been sent: the Axis powers had devastating weapons that they were not afraid to use on civilians. Most importantly, the attack was limited only to civilian buildings. War correspondent, George Lowther Steer from the London Times, rushed to the town and filed his report. He said that the entire city was in flames when he arrived at 2 am. But he also noted that a factory that produced materials for the war lay just outside of town had not been touched. Neither had two barracks a little way from the town. Once Picasso heard the news, he had his inspiration for his World’s Fair mural. 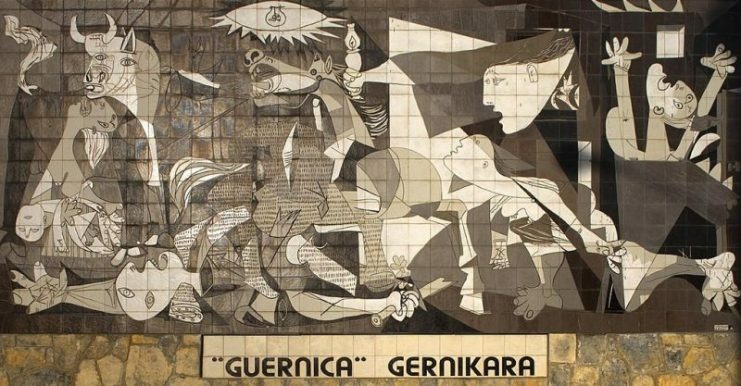 He quickly completed a large canvas and titled it “Guernica.” After its unveiling in Paris, it toured the world before spending 42 years at New York’s Museum of Modern Art where it influenced a number of US artists. Jackson Pollock was known to spend time at the museum every day specifically to view “Guernica.” When another patron of the museum shared unflattering comments about the work, Pollock suggested they fight it out outside of the museum. 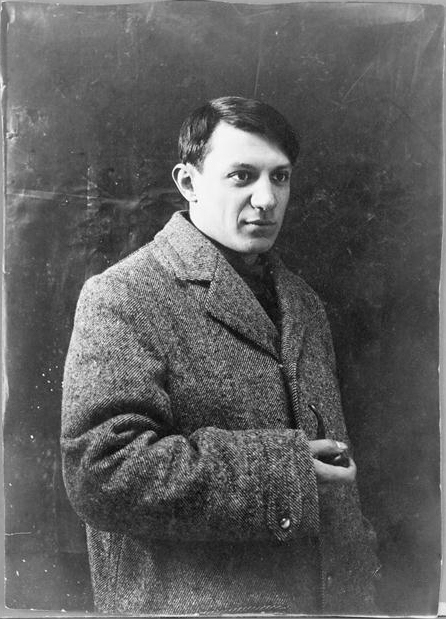 Picasso had a wish that the painting remained unseen in Spain until that country was once again a republic. Two years after Picasso’s death, Franco died and Spain transitioned to a constitutional monarchy. Although Spain wasn’t the republic Picasso had hoped for, the painting was sent to Spain in 1981 and shown in the Prado Museum in Madrid. 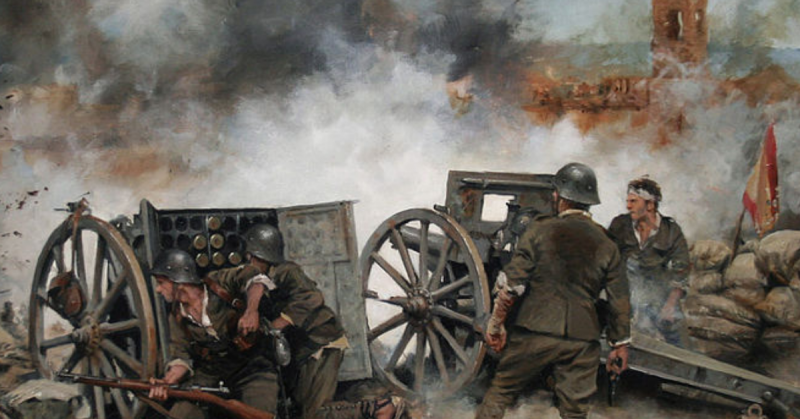 Because the memories of the civil war were still so fresh in the Spanish citizens’ minds, the painting was displayed behind bullet- and bomb-proof glass. In 1992, the painting was moved to its current home to the Reina Sofía Museum in Madrid. An average 11,000 people see it every day. Today, “Guernica” is known as Picasso’s most important political painting. For many, it represents the tragic effect war has on innocent lives. After World War II, Spaniards would hang “Guernica” next to Da Vinci’s “The Last Supper” as a form of protest against Franco’s totalitarian government.